Homeopathy: Mumbo Jumbo or Real Alternative? What these little pellets can and cannot do! cheating. Some of the most severe critics even get together on a regular basis to demonstrate the non-effectiveness of this method of healing by ingesting large amounts of pellets – without suffering even the slightest of side effects. Anyone with any common sense has to ask themselves: How can Homeopathy possibly help if a major overdose of these remedies doesn’t have the least effect? It is quite understandable that you would be skeptical. But you really have to have experienced what happens when you take your constitutional homeopathic remedy – how the energy of these little pellets affects you in a positive way – not only physically, but at the emotional and mental levels too. It is quite profound! So please join me today on an exciting journey of discovery into the fascinating world of homeopathy. Quackery or Healthy Medicinal Substances? – Provings on healthy persons: He could prove that a substance will help to heal symptoms similar to those it is known to cause. – Law of Similars: He found that a remedy could instil an “artificial disease” (i.e. Malaria) which is very similar to that of the original disease. And that when a person is sick with the disease, the irritant in the remedy stimulates the body’s self-healing powers to the extent that it will cure the illness. principle, this is similar to a phone book. If you were to analyze it in a laboratory, you would find that it consists of glue, ink, and paper. What you can’t physically or chemically prove is the information contained therein – which is the main thing. And so, just like the phonebook, Homeopathic remedies provide the sick cells in the body with information. It can’t act if there’s no substance? Homeopathic remedies are processed in various ways. The little sugar pellets, which are just sprayed with the potentiated solution, are probably the known best. 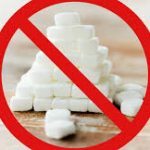 You could be asking yourself right now if you might as well be sucking on a sugar cube and then firmly believe in the healing effect it will have. But the pellets actually do work, and it is not miracle healing. Because in homeopathy we believe that it is not bacteria or viruses which are responsible for your sickness or health, but rather an energy running through your body. So, an illness is a disturbance of the self-regulating capabilities of your body. And these are not balanced out through a substance, but rather through a corresponding energy which activates the self-healing powers. The pellets carry this energy in them. asthma, eczema, repeated bladder infections, insomnia, depression and many others simply disappear. Many opponents of Homeopathy do now admit that these pellets work here and there. However, they believe that this is due to a placebo effect, attributable to pure suggestion. But it has been proven that Homeopathic remedies work on babies, small kids, and animals. Why do you think? Definitely not because you’ve told your dog to believe in the healing effect! No, the answer is much simpler: Homeopathy works! – what to should do in case of acute complaints. your individual, personal symptoms will lead you to the right remedy. – The complaints are temporarily intensified – the remedy was chosen properly and your body is working with the energy. – The complaints are staying steadily strong- either remedy or potency was incorrect. – The complaints are improving- this is the normal reaction and the remedy was chosen correctly. – You are getting other complaints- you have taken the wrong remedy. – You have noticed no change- you have taken the wrong remedy. In other words – if you are feeling even worse temporarily after taking the remedy, then you have at least chosen the right remedy? Strange as that may sound – it is true indeed. Because the body needs to react first to the remedy before the healing process can begin. And this happens, depending on the individual, either sooner or later. Counteracting the remedy with coffee, toothpaste and electronic machines? You may have heard that coffee or peppermint toothpaste can risk the successful outcome of your homeopathic treatment. I can put your worries at ease because this is really overemphasized. However, do be more careful around cell phones, microwaves, radio-controlled alarm clocks, computers, essential oils and intensive sun exposure. Homeopathic remedies should not be stored close to these items because the radiation could destroy the energy of the potentiation. A secret miracle weapon after all? still, even in these cases your well-chosen Homeopathic constitutional remedy will help you function better and thus improve your quality of life. When you need to seek medical advice, I personally would always consider both allopathic and homeopathic treatment. A physician that is familiar with both conventional and alternative medicines would be a good choice. Why? Because studies show that on average a consultation with a specialist ends after about 6-7 minutes. But I don’t want to have a diagnosis including prescription in my hands before I have even settled in front of the desk! A Homeopath takes lots of time for a comprehensive consultation, which can last 2 – 3 hours, collecting all of the information necessary to prescribe a very effective constitutional Homeopathic remedy. What system of medicine is more appropriate? A Homeopathic home-pharmacy for everyday complaints? It is a good idea to have a homeopathic home-pharmacy on hand so that you can act quickly in the case of an acute situation. We have a selection of kits available at the clinic. Just call (519) 603-0505 for further information. Do you have to believe in the effectiveness of this method of healing? – it has become the fastest growing alternative medicine in Canada! Convince yourself of the healing powers of homeopathy and book your appointment for a constitutional consultation today. Or, if you are not sure and have further questions, come in for a complimentary 15-minute information session and I will be happy to answer your questions!